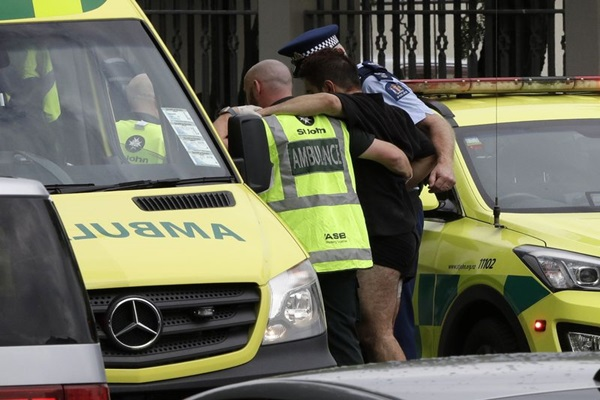 CHRISTCHURCH: Several shooting incidents happened in New Zealand’s Christchurch on Friday afternoon including inside two mosques, resulting in at least nine people dead in “six different places,” reported Xinhua news agency. It is reported that at least two gunmen opened fire at two separate mosques in Christchurch. Witnesses described that there is much blood and multiple deaths. According to reports, a gunman opened fire inside the Masjid Al Noor mosque full of prayers in central Christchurch during the afternoon praying time. The Bangladesh cricket team was about to enter the mosque when the shooting occurred, so the team members fled safely. Armed police have been deployed to secure the places and hunt for the shooters. They urged local people to stay indoors. Local schools are also locked down. “Police are responding with its full capability to manage the situation, but the risk environment remains extremely high,” police said in a statement. “It is an unprecedented violence in New Zealand. There is no place for such extreme violence in New Zealand,” Ardern said.